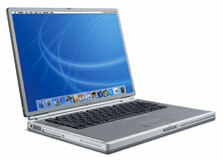 Announced in April 2002, The PowerBook G4 (DVI) was essentially a speed-bump of the PowerBook G4 (Gigabit Ethernet). There were, however, a few architectural changes. The Audio input, which had been omitted beginning with the original PowerBook G4, returned, along with a new DVI video out, which could be converted to either VGA or ADC using special adapters. Also included were larger hard drives, faster graphics, a higher-resolution screen, and CD-RW/DVD-ROM drives accorss the line. 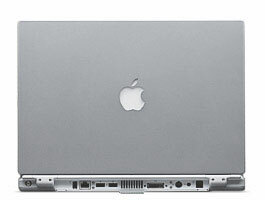 The PowerBook G4 (DVI) came in two configurations: a 667 MHz model, with 256 MB of RAM and a 30 GB hard drive for $2499, and an 800 MHz model, with 512 MB of RAM, a 40 GB hard drive and a built-in AirPort card for $3199. Both models were discontinued in November 2002.